MONRONEY, Almer Stillwell Mike, a Representative and a Senator from Oklahoma; born in Oklahoma City, Okla., March 2, 1902; attended the public schools and graduated from the University of Oklahoma at Norman in 1924; reporter and political writer for the Oklahoma News 1924-1928; in 1928 became president of a retail furniture store; elected as a Democrat to the Seventy-sixth Congress in 1938; reelected to the five succeeding Congresses (January 3, 1939-January 3, 1951); co-author of the Legislative Reorganization Act of 1946; was not a candidate for reelection but was elected in 1950 as a Democrat to the United States Senate; reelected in 1956 and again in 1962, and served from January 3, 1951, to January 3, 1969; unsuccessful candidate for reelection in 1968; chairman, Committee on Post Office and Civil Service (Eighty-ninth and Ninetieth Congresses), Special Committee on the Organization of Congress (Eighty-ninth and Ninetieth Congresses), co-chairman, Joint Committee on the Organization of Congress (Eighty-ninth and Ninetieth Congresses); was an aviation consultant and member of several boards of directors; resided in Washington, D.C.; died in Rockville, Md., February 13, 1980; cremated; part of the ashes placed in a niche in the Washington Cathedral, Washington, D.C., and the remaining ashes scattered on the grounds of the Mike Monroney Aeronautical Center, Oklahoma City, Okla.
Major portion of papers destroyed in 1973 at his request. Oral History: 1969. 128 pages. In Adlai Stevenson project, primarily reminiscences of Stevenson. Permission required to cite, quote, and reproduce. Oral History: 1969. 92 pages. Papers: Correspondence in William Benton papers, 1951-1961; and Robert Bendiner papers, 1934-1984, available on 17 microfilm reels. Papers: 1946-1972 (bulk 1962-1968). 97 cubic feet. 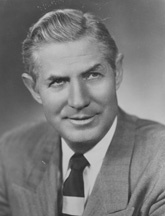 Chiefly Senate papers, a few House files, photographs, motion picture film, and sound recordings. Includes congressional reform files, materials on his feud with Joseph McCarthy, Federal Aviation Act files (1957-1958), International Development Association files (1958-1964), general correspondence (1962-1968), speeches (1954-1968), and biographical files. The general correspondence, the largest series, includes material on various topics, federal agencies, and senatorial committees including agriculture, aviation, education, open housing, Indian affairs, the Post Office, the Area Redevelopment Administration, the Civil Aeronautics Board, the Federal Aviation Administration, the Federal Communications Commission, school desegregation, school prayer, labor, roads, sonic booms, and water projects. Finding aid. Additional Papers: Materials relating to her work as press secretary for Monroney in the Beth C. Short papers, 1953-1966. 5.5 cubic feet. Finding aid. Papers: In John Colier papers, 1910-1987; and Chester Bowles papers, 1924-1973. Grant, Philip A., Jr. "Oklahoma's Rising Star: The Election of Mike Monroney to the United States Senate." Chronicles of Oklahoma 80 (2002): 132-141. Lowitt, Richard. "The Enigma of Mike Monroney." The Chronicles of Oklahoma XCI (Spring 2013): 4-39. Monroney, A.S. Mike, et al. The Strengthening of American Political Institutions. Cornell University symposium on "America's Freedom and Responsibility in the Contemporary Crisis," Spring, 1949. Reprint. Port Washington, NY: Kennikat Press, 1972. ____, and Thomas Kuchel and David Truman, eds. "Reform of Congress: The Congress and America's Future--A Discussion." Political Science Quarterly 80 (December 1965): 606-20.